Having lactose intolerance or another type of enzyme deficiency doesn’t mean the body can’t digest smaller portions. This may present a challenge in that the amount of available enzymes can vary even in the same person depending on other factors. While someone with a lactose intolerance may find they can tolerate foods with traces of lactose, such as certain types of cheese, another person may not. Even in the same body, enzyme levels can fluctuate, making the ability to tolerate different foods (or knowing which foods to avoid and in what quantities) extremely challenging and frustrating. If your symptoms are severe or chronic, there are certain tests your doctor can perform to pinpoint the exact enzyme deficiency. Here is a breakdown of some common and not-so-common enzyme deficiencies that can result in food intolerance. NOTE: Because symptoms such as gas or bloating tend to be similar regardless of the specific intolerance, it may be necessary to cut out one particular type of food for a few weeks to determine the culprit. If, for example, cutting out lactose or gluten reduces symptoms, then you can begin by including enzymes, such as Lacto or GlutenEase, designed to help with digestion of those particular foods. Lactose Intolerance. One of the more common types of enzyme deficiency is lactose intolerance, a lack of the digestive enzyme lactase. Gluten Intolerance. (Not to be confused with Celiac Disease which is a gluten allergy). This one is a little tricky, as gluten is a protein, thus should technically be broken down by proteases we all have. The supplemental plant enzyme Dipeptidyl Peptidase IV (DPP IV) is believed to help break down the specific gluten protein, along with casein, a protein found in dairy products. Disaccharide Intolerance. 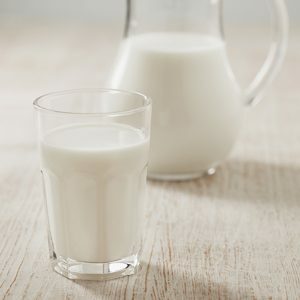 Also known as CSID (Congenital Sucrase Isomaltase Deficiencey) it affects the ability to digest various levels of sugars or starches, which may also include lactose. Considered as rare as Celiac Disease, recent studies indicate as many as 1 million Americans live with this and don’t know it. Very little literature is available online so it is best to discuss your symptoms with a licensed health practitioner. We’ve provided links in the Further Reading section below for more information. Phenol Intolerance. When eating a variety of raw, whole foods, seems to cause digestive upset, the reason may lie in a reduced ability to digest phenols. 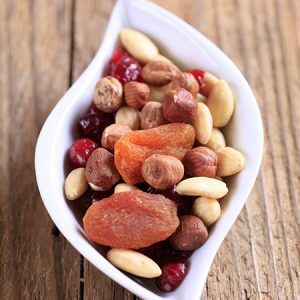 Phenols are found in high-antioxidant foods, fruit, nuts, vegetables, grains, food coloring, food flavorings. It’s believed the enzyme Xylanase helps to enhance the digestion of phenolic compounds in these and other foods. Fat Intolerance. May result from low levels of lipase, or for those who have had their gallbladder removed. The ability to properly digest and utilize fats and essential fatty acids is important to overall health and energy production. Combined Intolerance. Normal reduction of enzymes that occur with age, or other factors affecting digestion, may result in combined intolerance, especially when eating large servings of one kind of food. This may vary from minor stomach upset after a meal containing the offensive foods, or ongoing symptoms due to the inability to pinpoint which foods are causing the problem. Occasional indigestion after eating complex carbohydrates such as beans, dense fruits or vegetables, whole grains, or food with seeds may simply mean you ate more than normal enzyme levels can handle at once. Try smaller meals, eating in a relaxed (versus rushed) environment, and chewing more thoroughly. 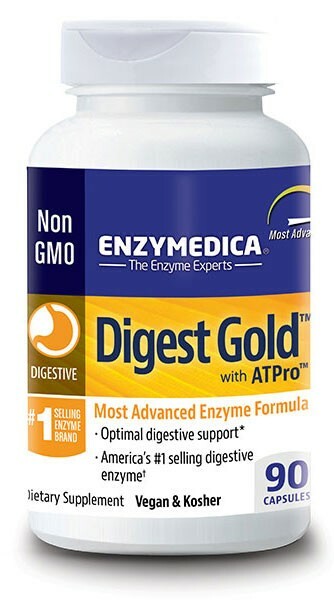 If you still don’t find relief, then digestive enzyme support may help. Of course, minimizing or eliminating the types of foods you know you cannot tolerate will further support your overall digestive health. Even digestive enzyme supplements can only break down so much. Regardless of food intolerance, a basic digestive enzyme supplement with every meal can benefit most people, and allow the occasional indulgence without major consequences. 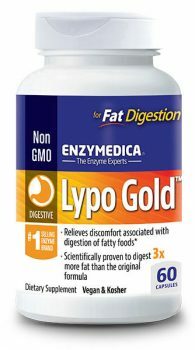 Depending on individual needs, the following digestive enzyme supplements may offer help for food intolerance or as general support for overall digestion. Digest Basic from Enzymedica contains essential digestive enzymes. Perfect as an introductory enzyme supplement with a gentle enzyme formula and small capsules which are easy to swallow and great for the whole family. 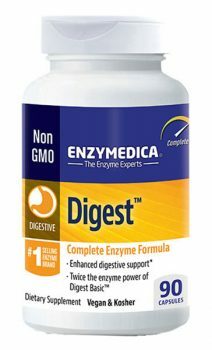 Digest contains a high-potency enzyme Thera-blend of amylase, lipase, cellulase and protease to support complete digestion of carbohydrates, fats, fiber, and protein. 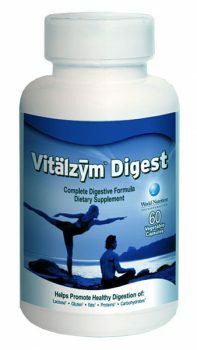 Vitalzym Digest from World Nutrition with 18 powerful enzymes to support total digestion and nutrient absorption for proteins, carbohydrates (including sugar***, starch, and lactose), phenols and hemicelluloses, and fat digestion. 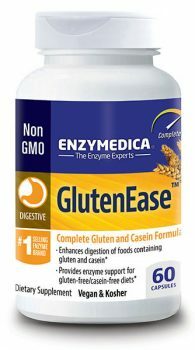 GlutenEase provides enzyme support for gluten-free** and casein-free diets and includes DPP-IV which focuses on breaking down gluten and casein proteins. 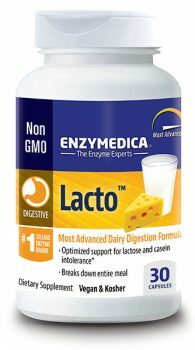 Lacto with advanced diary digestion formula includes Lactase, Amylase Thera-blend, Protease Thera-blend, and additional enzymes to help with the break down of carbohydrates, starch, sugars, proteins, and fats. BeanAssist for occasional gas, bloating and discomfort*, contains Alpha Galactosidase, an enzyme that breaks down the carbs in raw vegetables and legumes such as beans, peas, and lentils. 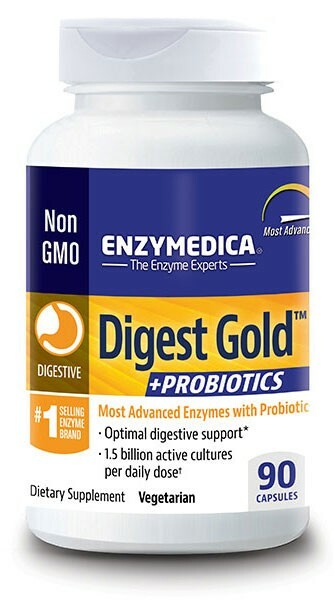 Digest Gold + Probiotics formula contains advanced enzymes with probiotics for the convenient combination of a high-potency digestive enzyme plus guaranteed delivery of active probiotic cultures. 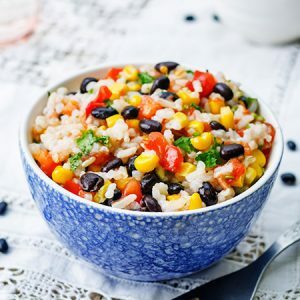 VeggiGest with high-potency Alpha galactosidase a key enzyme for breaking down the sugars from beans, grains, raw vegetables and other foods that may create digestive discomfort in the complex-carbohydrate diet typical of vegans and vegetarians. 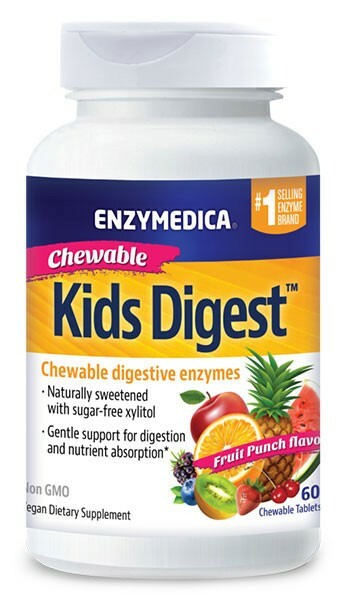 Kids Digest provides digestive enzymes that help the body break down the components of a meal, like fats, fibers, protein and carbohydrates. * Naturally sweetened with xylitol. Calmful Gut, part of Natural Vitality’s Calm Specifics line, was formulated to soothe digestive discomfort and support a healthy gut microbiome. It features Natural Vitality’s Calm magnesium, along with probiotics, the amino acid glutamine, and a comprehensive digestive enzyme blend to promote digestive health and balance. **Not intended to replace a gluten-free diet for those with Celiac Disease. 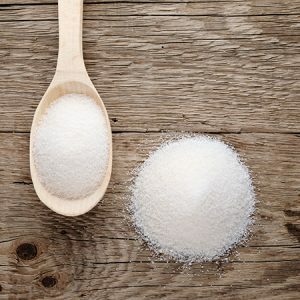 ***Not to replace a modified diet of reducing or eliminating sugars and starches as recommended by a licensed health care practitioner or dietitian for those with CSID, a disease indicated by permanent disaccharide deficiency. It’s wise not to trick yourself into thinking you can eat whatever and however you want just because you are taking enzymes. Reducing the amount of processed foods, harmful fats, caffeine, alcohol and over the counter medications can also help support digestion and ease stress so that your body can function properly. Taking digestive supplements or enzymes should be one part of your efforts to achieve complete digestive health. 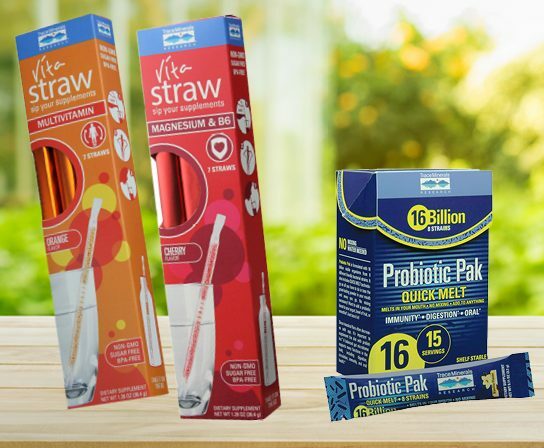 In addition, probiotic support, eating well, reducing stress, getting ample sleep and rest, and increasing intake of water will also promote proper detoxification, which supports overall immune function and the body’s ability to repair and restore. 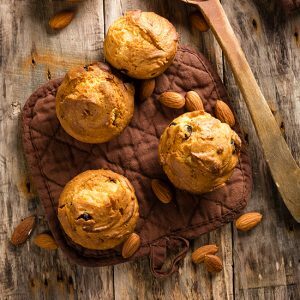 Are Gluten and Casein Wreaking Havoc on Your Digestive System? I think I’m going to have to seek a professional for treatment for digestive disorder. Your information about digestive enzymes makes me know I’m on the right track for me to get healthier. That is great that if I take the right enzymes I might be able to eat the food that I’m intolerant to if I get the right help.